First one is annamaya kosha or physical body is activated through Yogasanas and by following yogic principles. By doing this, the body will be free from diseases and feel the happiness on the bodily platform. 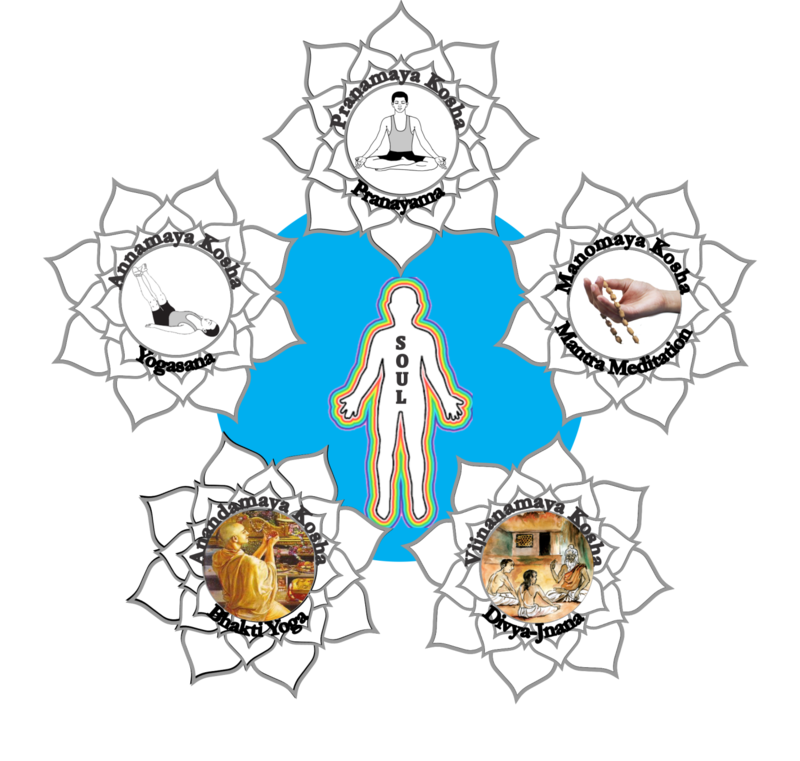 Third one is Manomaya Kosha or Psychic Body which is activated through Transcendental Maha Mantra Meditation (Refer our T-Triple M Program for more information). The person will experience the stress/anxiety/depression free life with this meditation.